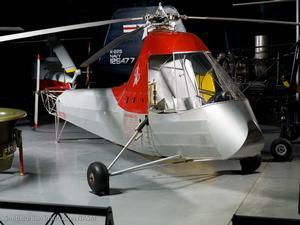 Frank Piasecki was the aviation pioneer who founded what is now Boeing Rotorcraft in Philadelphia. Born in Philadelphia in 1919, the son of an immigrant Polish tailor, he worked while still in his teens for the Kellett Aircraft Corporation, an autogiro manufacturer. By the time he was 20, he had earned degrees in mechanical engineering from the University of Pennsylvania and aeronautical engineering from New York University’s Guggenheim School of Aeronautics, where he studied under noted aircraft designer Dr. Alexander Klemin. Upon graduating, he became a designer for the Platt-LePage Aircraft Company, working on the Army Air Corps’ first helicopter contract – the Platt-LePage XR-1. In 1940, Piasecki gained the support of a few friends and started his own company, the P-V Engineering Forum (see location). Working out of a garage in Philadelphia, he and his colleagues designed and built a helicopter with a single main rotor and a conventional tail rotor. He had the diminuitive PV-2, as it was called, towed on its landing gear to National Airport in Washington, D.C., where on October 20, 1943 he performed a series of test flights before an admiring military audience. In the meantime, Piasecki’s interest was turning toward large transport helicopters featuring his own tandem-rotor design. The craft’s load was spread between two rotors, each of which was smaller and simpler to build than a single rotor of the same lifting capacity. And since they supported the aircraft at both ends, the cargo could be loaded at nearly any location in the fuselage without dangerously affecting the aircraft’s center of gravity – quite a benefit over other helicopters of the day. 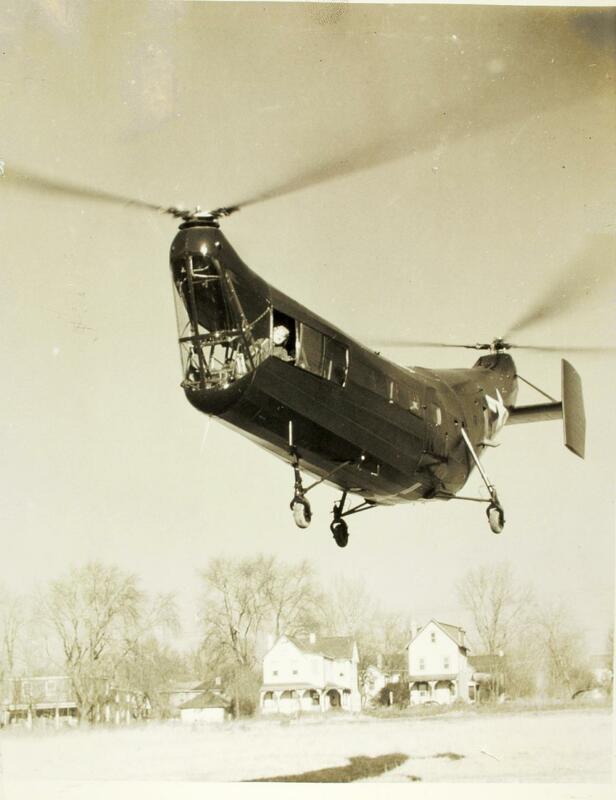 Designated the Piasecki XHRP-X, the new helicopter – supported by a U.S. Navy contract – made its first flight in March 1945. Frank Piasecki was his own test pilot and images from the 1940s and later invariably showed him, dapperly dressed, at the controls of a helicopter aircraft of his own design. The XHRP-X became the precursor of the US Marine Corps CH-46 Sea Knight and the much larger US Army CH-47 Chinook. Both aircraft have played critical roles supporting the U.S. armed services around the world since their introduction during the Vietnam War in the mid-1960s. His later innovations included the AirGeep flying cars, the Pathfinder Ring-Tail high-speed compound helicopter, and the Sea Bat Unmanned Helicopter Drone. His views, guidance and opinions were sought to the end. The vectored-thrust ducted propeller X-49A SpeedHawk, currently in flight test, is poised to demonstrate flight at speeds exceeding 200 knots. Frank Piasecki was a founding member of the American Helicopter Society and the creator in 1952 (and later recipient) of its Alexander Klemin Award, given for notable achievement in rotary wing aeronautics. He was named an Honorary Fellow of AHS in 1947 and served as AHS President in 1951-1952. In 1986, he received the National Medal of Technology, presented by President Ronald Reagan. In 2005, the National Air and Space Museum awarded Piasecki its “Trophy for Lifetime Achievement.” He passed away on February 11, 2008 at the age of 88. An historic marker has been raised to record the original site of the P-V Engineering Forum, where Piasecki's work began.